Decorating for Christmas was always a fun part of December in our home leading up to the big day. Church, friends, family, food & presents! Many people around the world (including us) display new as well as collectible nutcrackers for Christmas decorations. Besides, numerous others would not think the season is complete without attending a Nutcracker Ballet. Are you one of those people? Numerous types of nutcrackers have originated through the years and as the name implies the majority of them have been devised to more easily access the delicious nutmeats inside those exterior hard shells. Nuts are a good source of protein and have been used as a food source for probably as long as there have been people roaming the earth. Our animal friends with whom we share this planet also like harvesting and eating nuts. But for purposes of this post, I am referring to the decorative and collectible type of nutcracker commonly used in Christmas displays more than the useful type of nutcracker. 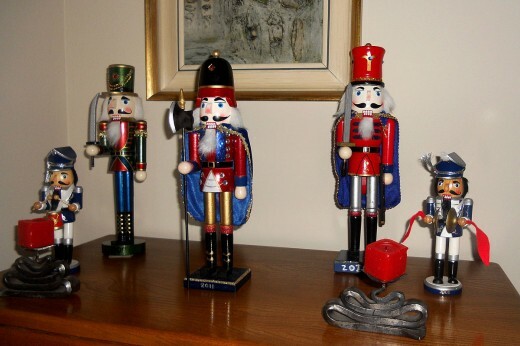 There is a very collectible type of nutcracker relished by people who enjoy quality artistry. Herr Christian Steinbach started carving these unique nutcrackers back in the 1800s in Germany. Like many wood carvers, this probably started as a hobby but developed into a good source of income. He was considered the "King of Nutcrackers" as to his beautiful designs and well-executed forms of beauty. Generally, those nutcrackers took the form of wooden soldiers but also portrayed other professions such as knights, kings and more. Today's designs embrace contemporary themes as well as the old. 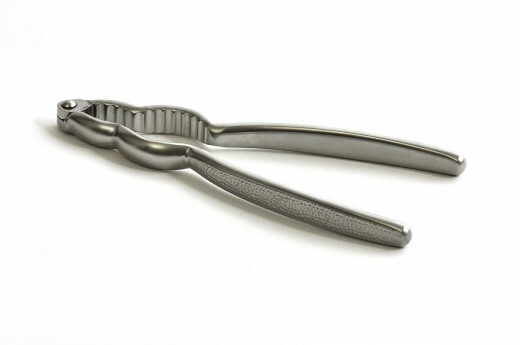 Typically they are designed with a large mouth with a movable lever in the back where if one inserted a nut in the mouth and operated the bar the nutshell would theoretically crack open giving access to the nut meat inside. Apparently few people would use these beautifully designed and decorative nutcrackers in that way for fear of scratching or otherwise harming these objects of beauty. Besides that, given the costs for these heirloom qualities Steinbach nutcrackers, if one needs to crack nutshells, there are indeed less expensive alternatives. At the Hohenhameln factory in the northern region of Germany, six generations of people have followed in Herr Christian Steinbach's footsteps and still produce the beautiful nutcrackers today. There is a wide variety of forms and different subjects for these modern-day nutcrackers but one thing has not changed, and that is quality. 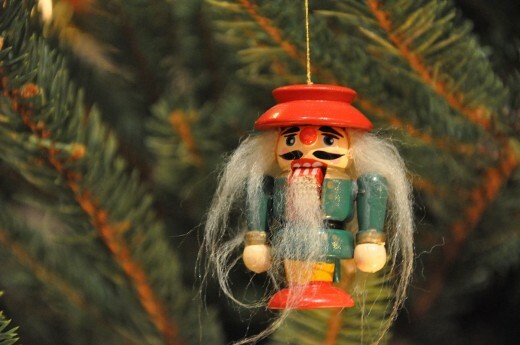 Steinbach nutcrackers are sought to grace the homes and domiciles of people worldwide beautifully and certainly add a distinctive touch to Christmas decorations. Much of what Steinbach creates are limited editions making connoisseurs of these pieces happy to keep adding to their collections. Every year around Christmas time the famous Nutcracker Ballet is performed on stages all across America and probably other places in the world as well. The very first performance was in Russia. It was not an instant success and loved as it is today. Tchaikovsky wrote the musical score, and many little girls and boys get all dressed up and attend Nutcracker Ballet performances at this time of year with their parents. Many people see it every year over and over again as a holiday tradition. It is a type of Cinderella story. At the end of the ballet, the young girl and her handsome prince live happily forever surrounded by fancy surroundings and sweet treats. Before that sweet ending, a doll maker brings toys to the household of two children, and many of his creations become animated and lifelike. Gingerbread men, tin soldiers, dolls, mice and other combatants add much excitement to the story told on stage. Naturally, since the setting is during the time of Christmas, the decorations are resplendent. A nutcracker turned prince brings this legendary tale to its happy ending. Every year in Houston the Nutcracker Ballet entertains thousands of people and rings in the Christmas season with the music and images of sugarplum fairies, nutcrackers and more. 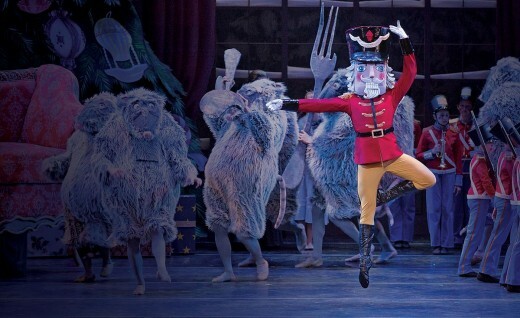 What do you think of Nutcrackers and the Nutcracker Ballet? I have utilitarian nutcrackers for getting to the nut meats. I have decorative Christmas nutcrackers. I have utilitarian nutcrackers AND decorative Christmas ones. I like attending the Nutcracker Ballet. Little did I know when my mother, niece and I visited Leavenworth, Washington (an incredible Bavarian styled village) years ago while on vacation that there is a beautiful Nutcracker Museum there. Had we known and if we had the extra time it would have been fun to stop in and explore it. At least you readers of this post will now know of its existence if your travels ever take you that way. 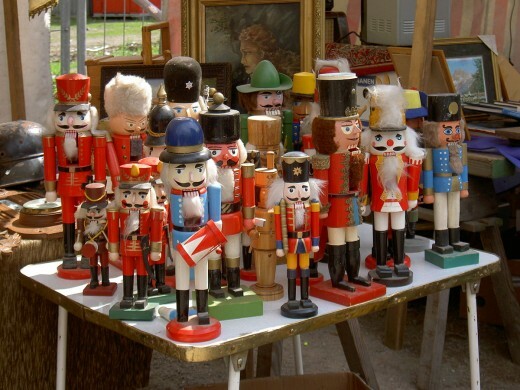 Did You Know That There was a Nutcracker Museum? Yes I had heard about it. Yes and I have visited it. No but thanks for the information. 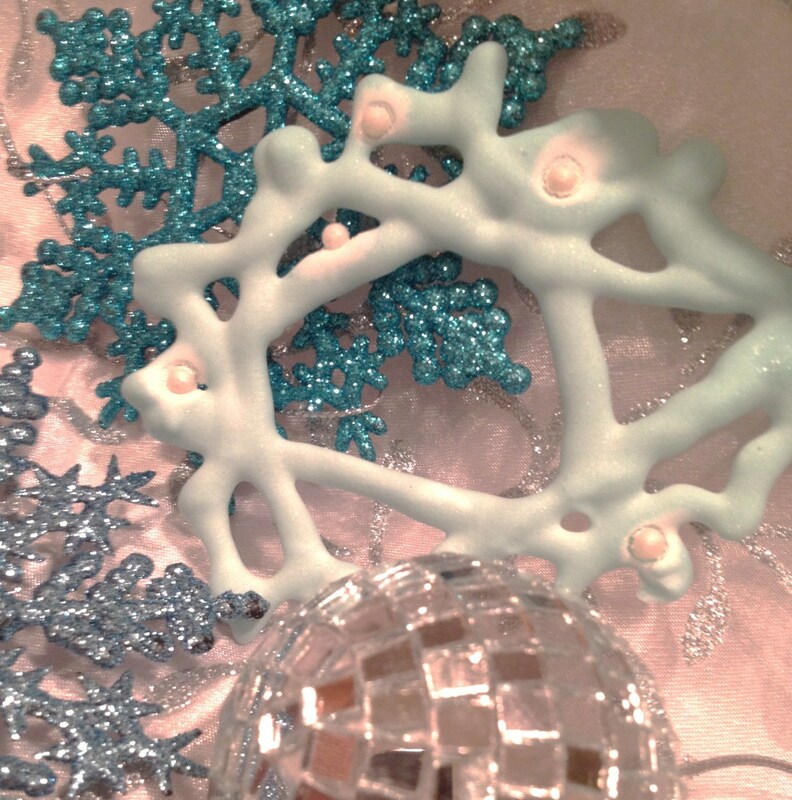 Since the Nutcracker Ballet and thoughts of decorating with different types of nutcrackers come to mind every year during the holiday season, I would like to end this post with sincere greetings for a joyous years end and beginning of a happy year to come. The Christmas season is fast approaching. Hopefully people will enjoy performances like that in many places. It is reasonable since the performances will probably start in a couple of weeks. In Washington, DC there is a Nutcracker performance that's a hot ticket, as is A Christmas Carol that plays at the Ford's Theater. They are already advertising ticket sales for the Nutcracker Ballet here in Houston. It is an annual event. Many children see this ballet first as you said in your comment. Sounds like you got a real bargain on that German nutcracker that you purchased. Hindsight is always 20/20 as they say! Those would have been terrific gifts even if you did not want to have a collection of your own. That's true. I think for many The Nutcracker is their first exposure to ballet. I always liked the music of The Nutcracker, because it had so much variety (Russian, Turkish, Chinese, etc etc). I really never particularly liked the nutcracker figures, but a couple of years ago we bought a German one dressed like an old fashioned Gamekeeper/Hunter. There were about a dozen of them, selling for $5 each. I was later wishing we had got more of them when I looked it up on eBay and they were asking $65 for it. We can only ponder his response to the Nutcracker ballet as well as the Sleeping Beauty. Others surely like them! Maybe he just didn't think much of this ballet, or the performance. I wonder if there were others who had comments about the performance? Maybe the newspapers had reviews. That is interesting Robert. Apparently he was not a ballet fan. According to Britannica.com "In a letter to a friend, Tchaikovsky himself remarked, “Apparently the opera gave pleasure, but the ballet not really; and, as a matter of fact, in spite of all the sumptuousness it did turn out to be rather boring.” He thought little of it, describing it as “infinitely worse than Sleeping Beauty.” The reference was to the second of his three ballets; the first had been Swan Lake." It is amazing how popular nutcrackers are for holiday decorations. We just have the one although like your friend, many people collect them. True, but I believe nothing beats the live performance. Even if a person has no access to a live performance of The Nutcracker...it is often portrayed via television this time of year. Of course it lives on forever in Youtube. 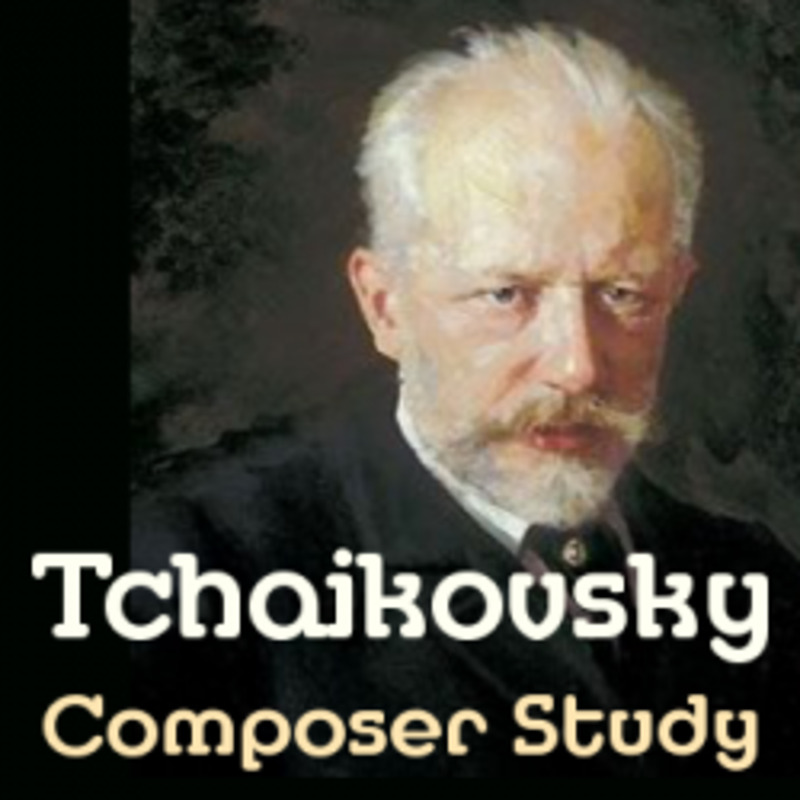 I did not know that about Tchaikovsky. I wonder why? Yes, The Nutcracker is probably the first exposure to ballet for many children. It has been a long time since I've a Nutcracker performance. In the movie Fantasia the MC explains Tchaikovsky hated The Nutcracker. Yes, nutcrackers of the Christmas kind truly are works of art. Glad you liked this. Thanks for your comment and the share. No snow down here in Houston but freezing weather for a few hours overnight. Had to take the potted crotons into our garage and cover some of the in ground plants. Way too early to have to be doing this! Thanks for the shares. Yes...Christmas is certainly coming fast! 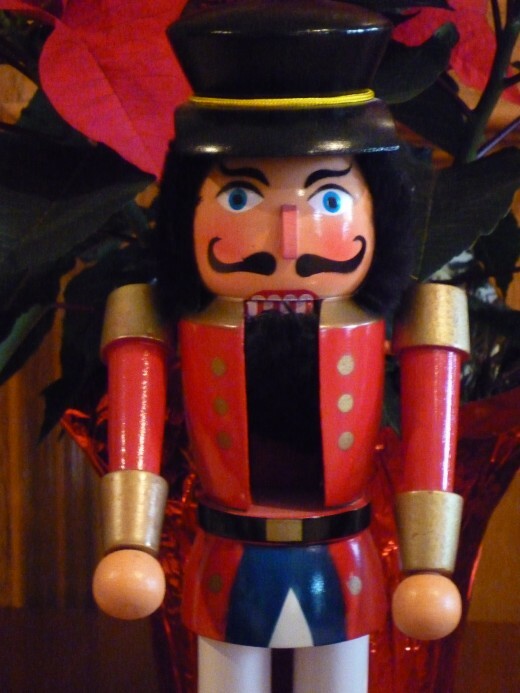 This would be a great gift if one has a nutcracker collector on their list. Tickets to a live theater show would be great too. Good information especially for people who may not know where to start with collecting. Christmas is just 37 days away so people who want to have more time to enjoy the holidays should be making their lists and checking them over now to avoid having to rush. Pinning this article to Awesome HubPages and sharing with followers. Hope that you had a Merry Christmas! I enjoyed your great hub and pinned it to my Christmas board. Voted up. The Nutcracker Ballet is a classic and is performed each and every year at the Wortham Center here in Houston as well as many places around the world. Glad you enjoyed this hub. Glad that I could add to your base of knowledge regarding nutcrackers. Thanks for the pin and share. I love the Nutcracker ballet! What a lovely hub! Now I know more about nutcrackers than ever before. My first and only experience with the musical was the movie starring Macaulay Culkin. It was really good, but so long I thought it would never end by the time it finally did end. 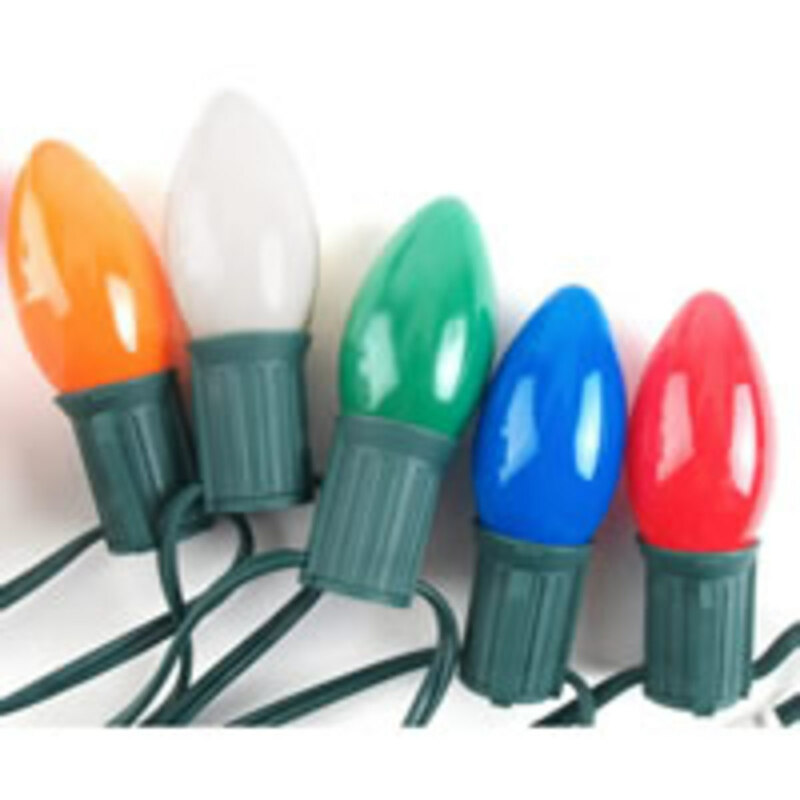 Have voted this excellent article up, BAUI, and pinned it to my 'Christmas II board.' Also sharing. The Nutcracker Ballet is a holiday time of year favorite for many people. Glad that reading this hub enlightened you about it. Appreciate your votes and shares. Peggy, this is the first time I'm learning about the nutcracker ballet. It surely must be a wonderful watch and a nutcracker museum would definitely worth a visit. Voted up, interesting, shared and pinned. thank you Peggy...this was filled with so much I did not know. I have a friend who love, loves to collect these---I just sent her four tiny for Christmas to add her collection; it is getting increasingly more difficult to find ones she does not have. 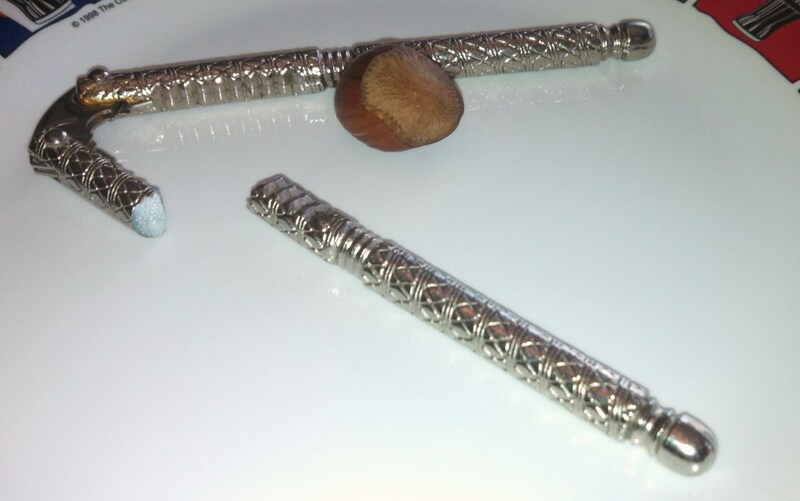 I have an antique nut cracker that was hand carved and it does not look like any of these. It is carved out of a solid piece of wood and then it was painted. It belonged to my Father when he was a child; he passed away at 92 in 1987....so it is old. Hope that you get to do both things...see a Nutcracker Ballet performance and acquire a decorative nutcracker of your very own to remind you of that book you read as a child. It must have left quite a memory for you! Thanks for the votes and the share and Merry Christmas to you and yours. An informative & wonderful hub! I would like to acquire a decorative Nutcracker as well as see the ballet in the near future when I have the chance. I came to know about the nutcracker thanks to the story written by E.T.A. Hoffmann that I read as a child and it was really fascinating. Well-done! Your grandmother must have quite a collection of nutcrackers if she collected them for years and people gave her gifts of them. How many would you estimate she has? It is always fun adding to collections when you know what people like. Appreciate your comment and the tweet. For the longest time, my husband's grandmother was collecting nutcrackers. It was so much fun each and every single year to try and seek out the most unusual and unique nutcrackers. I once found a really really old one. She loved it. Sadly, she ran out of room and no longer collects them. I also started out with a black and white TV at home with my family. We were so impressed when my grandparents got their first color TV. Occasionally we would all go over there to watch something as a family. The sets had to warm up and there was that test symbol. Ha! We both have our memories going back to those "good old days." Nice that one of your memories is watching the Nutcracker Ballet with your Mum. Thanks for your comment. The Nutcracker Ballet is a favorite ballet performed traditionally around this time of year. Some families make it an annual event to go and enjoy it. The wooden nutcrackers are also a type of iconic decoration used in many houses during the Christmas season. Many of the more expensive ones are lovingly hand carved and painted. They come in all sizes, shapes and price ranges. Glad that you liked this. Appreciate the vote and share. I have never heard about nut crackers before. They look beautiful. Also as Mark commented that they have ballet of nutcrackers, it must be spectacular . Voting it up and sharing this wonderful hub. I have seen those flower pot nutcrackers and they are cute. They are already advertising the Nutcracker Ballet here in Houston which is an annual show and Christmas Displays are already in the stores. It does seem to start earlier each year...or perhaps it just seems that way! Ha! The share buttons are at the top right of the hubs now, FYI. Thanks for your comment. Oh, no! Is it that time of year again???? Seems like we just had Christmas about 6 months ago! I'll have to go and dig out my one and only wooden nutcracker. I don't remember where I got him now, but he adds so much to the holiday season. I enoyed reading your Hub on types of nutcrackers. I voted this Hub UP and will share. (there is NO share button on your Hub). Getting to attend a Nutcracker Ballet in Budapest some years ago must have been spectacular. What a nice memory for you! Glad that this hub about collectible nutcrackers and the ballet stirred your "feel-good" memory. Thanks for your comment. Glad that this hub about nutcrackers and the Nutcracker Ballet put you in the Christmas spirit. Thanks for your comment. Listening right now to one of your videos with the Nutcrackers Christmas carols, and it sure gives me some Christmas spirit! Beautiful nutcrackers and a beautiful and interesting hub. Listening right now to the Nutcrackers Christmas carol, from one of your videos and it sure brings me some Christmas spirit. Beautiful nutcrackers and a beautiful hub! You are probably referring to the Nutcracker Ballet if I am correct in thinking. Or do you mean various wooden nutcrackers used around the house for Christmas decorating? 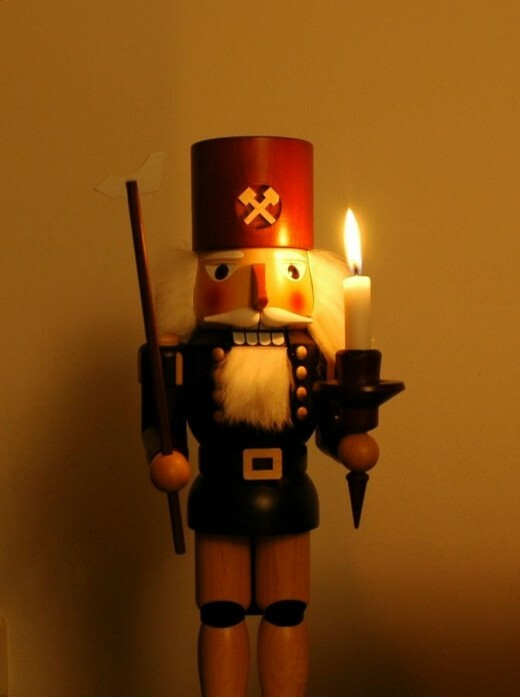 In any case, the nutcracker has become a symbol of the Christmas season. Thanks for your comment. Amazon has some really good prices on Nutcrackers as you can readily see from reading this hub. Thanks for reading and leaving a comment. 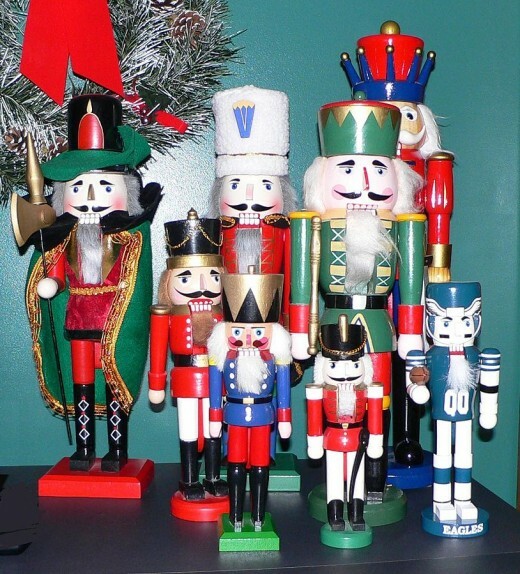 Will bookmark for Christmas - my sons are huge nutcracker fans. What a cute Nutcrackers! I like them. I hope you can list some sites that provides discounts. :) Thanks in Advance. Happy to hear that you liked this hub about the Nutcracker Ballet and everything related to nutcrackers. Thanks for the comment. It would be interesting to see what your island girl nutcracker looks like. Perhaps you can dedicate a hub to her? Nice to hear that you liked this hub about collectible nutcrackers for Christmas displays and also the Nutcracker Ballet. Thanks! A great tribute to Nutcrackers and the Ballet. I love it. Thank you for your wonderful hub. Beautiful hub Peggy. I have a very unique island girl nut cracker! I guess I'll keep her. God bless Peggy! I actually had to find the nutcracker amidst our Christmas decorations in order to take a photo of it for this hub. It is not one of those gorgeous Steinbach nutcrackers, but it has been a part of our Christmas displays for a number of years now. Perhaps it was the Nutcracker Ballet music that put you in the Christmas mood? In any case, thanks for the comment and have a very Merry Christmas. Like you, many people watch the Nutcracker Ballet on television or see it in person during Christmas each year. The music is glorious! As to collecting nutcrackers...you have many choices and they certainly do add a holiday touch to Christmas displays. Thanks for the comment. Glad you liked the presentation of collectible as well as utilitarian nutcrackers. Also happy that you liked the video of the Nutcracker Ballet. Thanks for the comment. Some of those collectible nutcrackers are really beautiful. Thanks for commenting on this nutcracker hub. I have only utilitarian nutcrackers in my house, but after viewing your hub I want to get some decorative nutcrackers too! I enjoyed the videos. We always watch the nutcracker ballet on television at Christmas. It’s a part of our Christmas celebrations. This nutcrackers are so cute and the video was also great. A very good hub on the collectible Nutcrackers for your Christmas display and the Nutcracker Ballet. I too would love to collect a few of the limited edition Nutcrackers. Great videos. You don't have even one nutcracker for your Christmas displays, well, not to worry. There are plenty of collectible nutcrachers and also non vintage ones from which to choose. Like you, I enjoy the Nutcracker Ballet and the music certainly represents this time of year as it is often played. Thanks for the comment. With all of the Christmas decorations I have.......... not even one is a Nutcracker! I shall have to remedy that! Like your wife, I also enjoy watching figure skating, especially the pairs competition. It is amazing what they can do while on ice...from the ballet like moves to the most gymnastic in nature. I'd probably kill myself if I tried ice skating today. The last time I was on ice skates was when I was a kid. I have, but I do not have the patience to sit through a ballet very often. My wife likes to watch figure skating which I will watch a times but not regularly. I remember...your wife collects dolls. So no collectible nutcrackers will be suggested for her Christmas displays! Haha! The Nutcracker Ballet music is really nice. Have you never seen the Nutcracker Ballet on television? I wouldn't suggest to my wife anything more to collect. This was an interesting background about nutcrackers. I like the nutcracker music but might not sit through the ballet. The music alone from the Nutcracker Ballet is wonderful. The Houston ballet does a wonderful job of performing the Nutcracker Ballet each year and they even host a Nutcracker market at the huge Reliant Center where many top end vendors display their goods. Ticket prices plus a portion of the proceeds benefits the Houston Ballet and is a major fundraiser each year which attracts huge crowds of people. A lunch, fashion show etc. adds to the excitement. Music and more... That is also a fun event and one in which people like attending year after year. Thanks for commenting on this collectible nutcracker / Christmas displays hub. Wishing you a very Merry Christmas! Peggy, We went to see the nutcracker last year and it was wonderful. I think your hub is right in the Christmas spirit and I enjoyed it very much. Thanks for the complimentary comment and vote up on this hub about collectible nutcrackers for Christmas and also about the Nutcracker Ballet. You are so kind to regularly read and comment on my hubs. Appreciate it! I know...it seems early to be thinking of collectible nutcrackers, the nutcracker ballet and Christmas displays...but it is already happening in the stores and elsewhere. Happy to hear that you enjoyed the music from the videos. That is beautiful for sure. Thanks for the first comment! Another good job from you. These nutcrackers so cute and beautiful. The video is also amazing. Peggy, you made the Christmas time so great. I know Christmas is coming fast. I thought you have prepare everything related with Christmas celebration. God bless you.